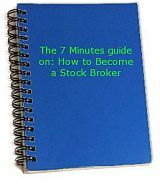 Stock quote is the most basic information, numbers and history of a particular stock. Understanding the stock market in general entails your undertanding and making use of the vital and relevant information . Since the stock market is a very fluid entity and prices change routinely. So also does stock quote change routinely. Here are some of the information that you will find in a typical stock market quote. Stock price: This is the current trading price of a stock. The name of the company - This may sound like an elementary piece of data, but keep in mind that this will usually be the company as it appears on the stock exchange on which it's traded. It may very well be only a couple of letters. It is also known as stock symbols. Volume: This is the number of shares of stock traded for a particular period of time. High and low - This is usually a 52-week high and low. These numbers represents the highest and lowest point of the stock's history and can be used to judge and predict the amount of fluctuation for any particular stock. Change:The difference when the stock traded up or down, usually calculated in amount and percentage. Estimates of the anticpated yield of dividends per share. 1 year Estimate: This is the estimate for a stock prices in one year’s time. Market Capitalization: This is the market price for the company. It is derived from the total shares multiplied by the current market price of the stock. There are several common ways you can obtain quotes. One of the most popular is through your local newspapers, financial magazines, stock broker etc. And online there are lots of stock market sites offering these information. It's important to evaluate the reliability of the source when you choose to follow up on stock quote. Learning to read and understand a stock quote is vital to using the information to the benefit of your financial portfolio.